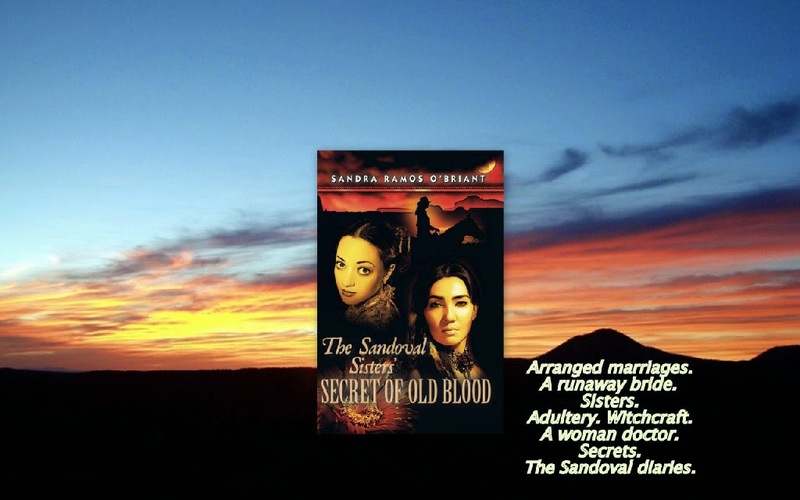 My first novel, The Sandoval Sisters’ Secret of Old Blood, won two literary awards. It tells the story of Anglo encroachment on New Mexico as they made real their vision of Manifest Destiny. That’s the long way of saying that I began my historical research to answer the burning question that had so cruelly affected my youth: Why did the Latino kids in Santa Fe hate Anglos, especially Texans? Alma runs off with a Texan and experiences racism while living with his family. She is also gifted/afflicted with the “Sandoval memories.” The youngest sister, Pilar, insists on wearing men’s clothes and working with horses. All of these family attributes set them apart from the people (la gente) in their community and make them targets when the war wreaks havoc and loss. Over 20 of my short stories have been published. Some stories don’t have identifiable Latino characters. Against the Rules, which tells the fictionalized story of how I met my husband, does not. Personal Power does. What both stories have in common are strong voices and characters who have defied the odds or are about to defy them. Not all of my stories have erotica in them, but when they do there might be a bit of sexual fluidity, as with Pilar in The Sandoval Sisters. Want more diversity? I’m editing a vampire novel that I sold once, but the small press went belly-up before I could deposit the check. Title: Blood Mother. Short answer: there are no historical novels dealing with the Mexican American War from a female perspective (of which I am aware.) This is not a good thing. My agent got favorable responses from editors at several big publishing houses. They actually read the book and took the time to dictate letters saying they enjoyed it. The catch? Marketing. Historical fiction readers like French and English stories about royalty or the mistresses of royalty. Last on the list are American historical books. The Civil War and the American Revolution are first in line. There are exceptions, of course, but Mexicans? Puhleese . . . When I’m actively writing a new piece, the story plays out in the back of my mind like a movie-while I’m driving, on hold, in my sleep. I see it. My job is to put it into words so that my reader can see it, too. If I get stuck, it’s not because I don’t know where to take the action, it’s in finding the best way to describe it. When this happens I usually change perspective by working out, gardening, walking the dog or switching to a short story. The human brain is a marvelous machine. It knows what you want it to do but for some reason the words may come out of left field. I’ll be talking to my sons or husband or at lunch with friends and in the next moment I’m scribbling on the back of an envelope or a credit card receipt. My thanks again to Claudia Long for tagging me for this exercise. She is the author of Josefina’s Sin (Atria/Simon & Schuster 2011) and the forthcoming The Duel for Consuelo.